Efficiency - "Productive use of resources; the degree to which something is done well or without wasted energy." What is a Turnkey Energy Solution? Many of our clients are seeking efficient and innovative ways to improve the indoor climate of their facilities while reducing ongoing operating costs (energy, repairs, and maintenance). Beyond efficiency, they require a safe and productive environment for their occupants. Our goal is to be a forward thinking partner who can assist with the development of practical, well thought out solutions for both short and long term facility needs. CTS Group has developed a proven process for successful projects. We begin with a thorough assessment of the strengths and weaknesses of existing systems. CTS has the knowledge and expertise to assess, recommend and implement system improvements. We follow standardized benchmark procedures such as Energy Star criteria to determine the potential for efficiency gains. This analysis is backed up with an internal comparison of your facilities to past CTS projects to validate the data. Such assessments form the foundation for goal setting and the exploration of options for your unique facility needs. Once complete, CTS shares insightful information regarding facility conditions, short and long term needs and potential recommendations. We strive to present such information in a clear and concise format. We find that accurate data makes for more informed decision making. Our experts bring in-depth knowledge of all major facility components (mechanical, electrical, control, envelope, life safety, comfort, renewable energy, etc.). In addition, CTS Group measures the predicated performance vs. actual performance for your project. If the systems do not perform, we will make up the difference and we put this in writing. Often the first goal is to reduce the energy consumption. Energy conservation, with comfort, is the first step before considering renewable energy solutions (wind, solar, geothermal, biomass, etc.). Typical energy strategies may include improved control of HVAC systems, addressing inefficient lighting or building envelope improvements. The second level of efficiency improvements might include new high efficiency HVAC, additional insulation to the building roof system or replacing single pane window systems. Such improvements may represent large capital investments in your facilities which are generally addressed when existing systems are worn out and past their useful life. CTS Group has an excellent track record of achieving high performance buildings. Such buildings have quality environments for occupants as well as being energy efficient. Many of our projects have transformed inefficient buildings into modern, more functional and energy efficient buildings. 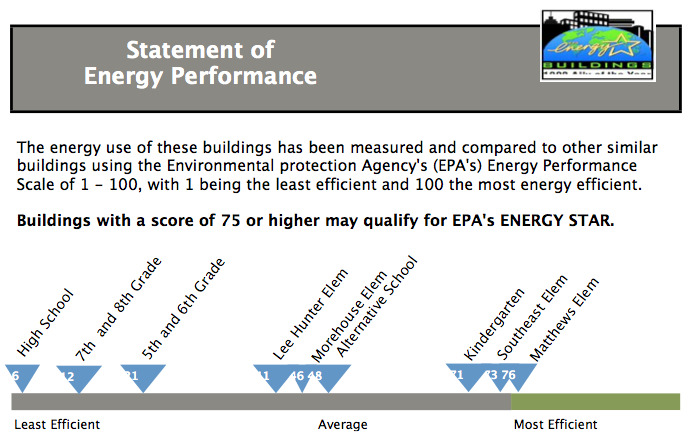 Such buildings become DOE Energy Star labeled facilities (top 25 percentile). After steps have been taken to create energy efficient buildings, many CTS clients then investigate the opportunity for clean, renewable energy systems. Such enhancements include geothermal, wind harvesting, solar and biomass improvements. CTS Group provides our customers with in-house expertise necessary to engineer, design, install, monitor and maintain cost-effective solar photovoltaic systems. Our best practices approach to solar projects maximizes potential to lower monthly utility costs by reducing the amount of electricity that must be purchased from the local electric company or cooperative. These installations can also help lock in lower utility rates and protect against rate hikes from traditional grid supplied electricity. Solar energy and schools complement each other nicely. Installing solar panels on schools creates ready-made, hands-on learning opportunities for the classroom, turning previously unused roofs or fields into scientific labs and inspiration for student art, writing, and other projects. Through advances in manufacturing processes and installation methods, solar photovoltaic systems are a cost-effective way to reduce utility bills and showcase commitment to sustainability. This technology has been implemented within many CTS Group projects. This is a long term strategy to heating and air conditioning buildings, creating quality environments with very low operating costs. A CTS project utilizing geothermal technology can result in facilities operating at the top 10% of peer buildings. Such systems can also be simple to maintain with long estimated life expectancy. CTS Group engineers have the proven experience in assessing and implementing wind projects. Such projects are custom designed to meet the unique needs of each individual client. Wind energy is a valuable investment that can pay dividends for building owners. It is possible to deliver electricity to the client's site at a lower cost while selling excess power onto the utility grid which provides a revenue stream to the client. Wind has the potential to generate renewable energy for schools, cities and county facilities throughout the Midwest. In addition, the technology offers a visible example to the community of the forward thinking necessary to protect our environment. Where building owners are in need of updating aging boiler plants, a Bio Mass system may be the solution. Such systems can produce hot water or steam (to provide heating or even air conditioning) and can also be designed to produce electricity (co-generation application). Such systems use sustainably harvested local materials (wood, wood chips, scrap materials or other locally available renewable resources) for fuel and efficient combustion.